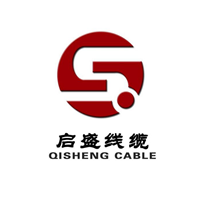 Product categories of Shielded Cable, we are specialized manufacturers from China, Shielded Cable, Shielded Usb Cable suppliers/factory, wholesale high-quality products of Double Shielded Ethernet Cable R & D and manufacturing, we have the perfect after-sales service and technical support. Look forward to your cooperation! The Shielded Cable is a cable that is resistant to external electromagnetic interference formed by a transmission cable plus a shield. Most of the shielding layers of such cables are woven into a mesh metal wire or a metal film, and there are many different ways of single shielding and multiple shielding. Single shielding refers to a single shielding mesh or shielding film in which one or more wires can be wrapped. The multi-shielding method is a plurality of shielding nets, and the shielding films are all in one cable. Some are used to isolate electromagnetic interference between wires, and some are double-layer shields used to enhance the shielding effect. The mechanism of the shielding is to ground the shield to isolate the externally induced inductive voltage of the conductor.